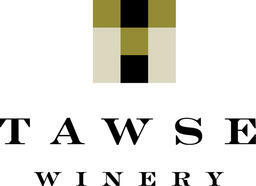 Tawse is a family-owned estate winery situated on the lower slopes of the Niagara Escarpment. At Tawse we unite traditional winemaking techniques with state-of-the-art technology to create wines of exceptional elegance, depth and character. Our fruit is harvested from old-growth, low-yield vines and gently handled using natural gravity flow and geothermic energy. We apply rigorous organic and biodynamic methods to every aspect of our wine production and Ecocert and Demeter seals now appear on all Tawse vintages made from our biodynamic vineyards. May to October: 10 a.m. – 6 p.m., daily. November to April: 10 a.m. – 5 p.m. weekdays and 10 a.m. – 6 p.m. on weekends. $8 for 4 samples, complimentary with purchase of 2 bottles.